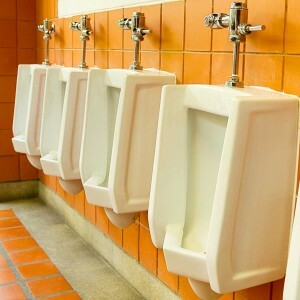 How to Make Your Company Restroom Environmentally Friendly | Ace Uniform Services, Inc. Here are some tips for making your company bathrooms more environmentally friendly! When it comes to making a workplace more environmentally friendly, most people start with big picture items around the office. Most offices are working to use less paper and make fewer copies, transition to digital document solutions, and waste less. However, your company’s restroom is another area that could majorly use an environmentally friendly makeover. Here are some simple ways to turn your company restroom into an environmentally friendly place! Before you close this tab, hear us out! It seems counterintuitive to use paper towels instead of other options, but air hand dryers use a whole lot more energy and are not very efficient at all. Having expensive air dryers installed can actually cost you money in the long run over using traditional paper towels, so just stick with the classics! If you purchase the right paper towels, quality made from recycled materials, your employees will use less since they absorb water well. Paper towels help to keep your company restroom cleaner, give your employees extra napkins for their messy lunchtime meatball subs, and are more cost effective. Employees waste a lot of water in your company restroom every day. Motion sensor faucets are a great way to cut down on water use and ensure nothing gets left accidentally turned on. Water is also one of the crucial ingredients for bacteria to flourish in your bathroom, and less water means less of a chance for bacterial growth. Choose a company that uses environmentally products for company restroom cleaning, like Ace Uniform. Choosing green products helps to protect the environment and the health of your employees. Green products are more affordable and plentiful than ever, and probably available already through your office supply company. The products that you use will still be just as effective at busting bacteria but gentle on the environment. This entry was posted on Friday, February 24th, 2017	at 5:02 pm	. You can follow any responses to this entry through the RSS 2.0	feed. Both comments and pings are currently closed.